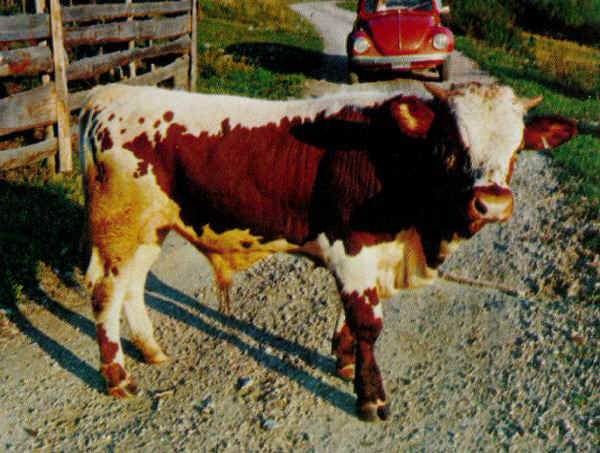 Pustertaler Cattle originate from the side-valleys of the Pustertal in Southern Tyrol. For a long time, they were credited to be the best cattle breed of the imperial and royal monarchy. Continuous sale of the breed to Viennese dairies finally lead to the decline of the breed. Colour and patterns vary. Tail and belly are always white. The coloured areas (red or black) may be connected ("Schecken”) or be distributed as finely coloured dots ("Sprinzen”). The Pustertaler Cattle are heavy and large framed. They are characterised by longevity and easy calving. Calves are very vital, with high daily weight increase when feeding on basic rations. With each lactation period, milking performance of the cows increases. Additionally, meat quality is very good. General remarks: Pustertal bred in South- and North Tyrol seem to be improved with Vosgene blood. There are only 4-5 breeders left in South Tyrol, which have purebred animals without Vosgene blood. The degree of improvement is not clear at this point. Austria (North Tyrol) has closed its herdbook for external exchange of animals. Barà cattle are very closely related to Pustertal cattle: A scientific examination by the Department for Animal Breeding, University of Torino, showed that Barà and Pusteria share the same origin. 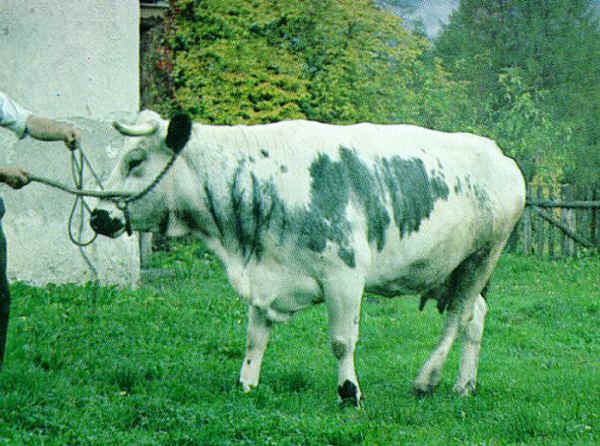 Barà Cattle are kept in Piedmont, in Torino province and in the neighbouring Cuneo province.